Last time Joe was at The Black Sheep Lounge Welland he was blown away at the amazing dishes he sampled. This time he is back to try out the new winter menu they have created. The Black Sheep Lounge Welland is known for great java, and this winter menu is no acceptation. 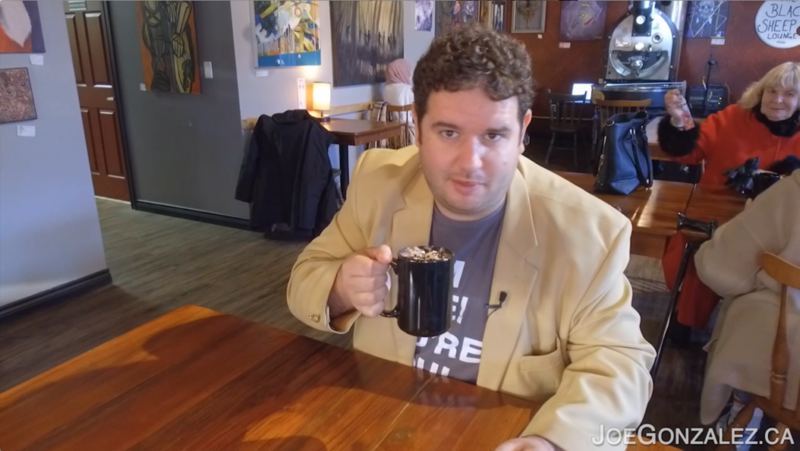 Joe starts his visit with a brand new mocha creation inspired by the winter and guaranteed to warm you up! ENTER TO WIN A $25 GIFT CARD TO THE BLACK SHEEP LOUNGE! Next, Joe gets to try 3 amazing dishes off the winter menu, he is excited to let his taste buds run free! The first Lucas brings for Joe is the brand new Winter Mint Mocha with licorice & mint steeped milk that is to die for! 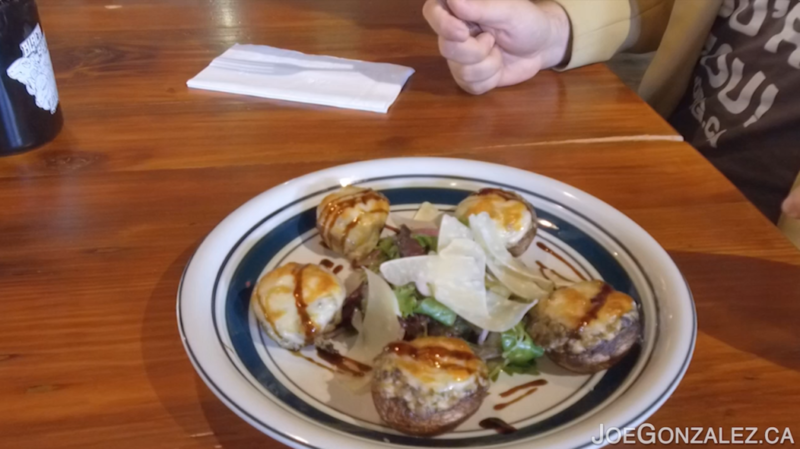 Course number 1 is Stuffed Mushrooms, packed with goat cheese, truffle, chives, reduced balsamic glaze with a green salad topped with parmesan slices! Next up Lucas from The Black Sheep Lounge Welland brings Joe out a classic, grilled cheese. 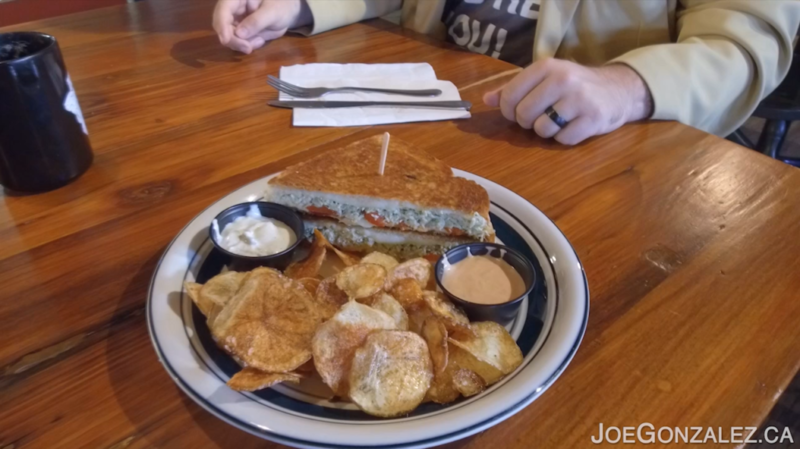 This is not your regular grilled cheese however, this is the Pesto Chicken Grilled Cheese! This dish comes with their amazing in house crafted kettle chips and 2 homemade sauces, ranch and southwest! 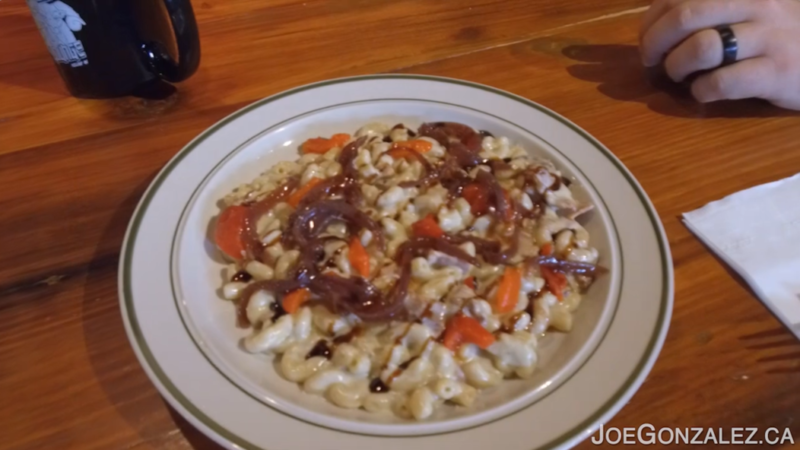 Last but not least is a creative spin on the popular mac and cheese. Their Blue Cheese Mac & Cheese, with bacon (of course!) red onion jam, roasted red onion peppers with balsamic reduction. This is definitely comfort food to keep you warm this cold winter!